Spike Aerospace, in the early stages of designing an 18-passenger jet that would cruise at Mach 1.6, is considering a half-dozen locations, says Chief Executive Vik Kachoria. A privately funded, Boston-based aerospace startup is considering Washington state as a location to manufacture a sleek supersonic commercial jet now in the early stages of development. Spike Aerospace is designing an 18-passenger jet that would cruise at Mach 1.6(1,100 miles per hour) and could fly with a low sonic boom from New York to Los Angeles in three hours. Spike has been working on preliminary designs for three years and now employs about 45 engineers, said Chief Executive Vik Kachoria in a phone interview. He said he envisages flying a two-third-scale prototype late in 2018 and to deliver the first full-scale jet to a customer in 2022 or 2023. A person with knowledge of Spike’s discussions with the state Department of Commerce said the company has suggested it could provide about 200 jobs to begin with and as many as 1,000 jobs later. Other states under consideration include Oregon, California and Texas, said the person, who asked not to be identified because the details are confidential. John Thornquist, who directs Gov. Jay Inslee’s aerospace office, said state officials are “excited” at the possibility of landing a new airplane manufacturer. He said they put together a package of information for Spike that includes details on potential sites in various counties. One of those will certainly be Everett, where the state earlier developed plans for an aerospace business park on approximately 80 acres on the west side of the runway at Paine Field that could accommodate a building as large as 1.2 million square feet. Kachoria said he’s interested in sites in Western Washington and also potentially in Spokane. He’s coming to speak at the governor’s annual aerospace conference in Lynnwood next month, and said he plans to check out a couple of locations while here. Spike will shorten its list to a few states by January and pick its manufacturing site six to eight months later, Kachoria said. The possibility of Spike locating here was first reported online Tuesday by the Puget Sound Business Journal. No supersonic commercial passenger jets have flown since 2003 when the economically unsuccessful British-French Concorde airliner went out of service after a deadly crash in Paris three years earlier. Spike is one of three U.S. startups with supersonic jet plans, all focused on passenger aircraft smaller than today’s commercial jets and aimed at premium business travelers. 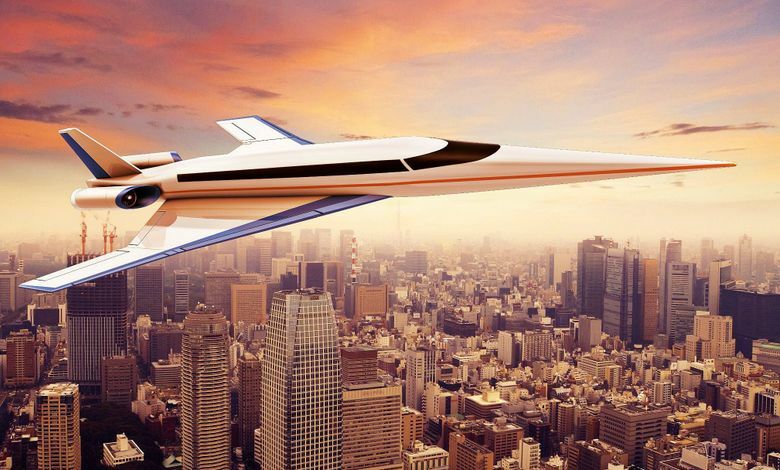 Last year, Washington was pitching itself to Aerion, the Reno, Nev.-based supersonic-jet company that has a partnership with Airbus and is financed by Texas billionaire Robert Bass. Aerion is expected to announce its manufacturing location this year, but Washington is no longer in the running. In Colorado, another startup, Boom, has proposed a 40-seat supersonic jet. It plans to fly its first prototype in late 2017 and has 25 orders already, including 10 for Richard Branson’s Virgin Group. Kachoria said he’s talking to two engine makers as potential suppliers and to other possible partners. Spike’s Chief Technology Officer, Dr. Anutosh Moitra, worked at both NASA and Boeing specifically on the design of supersonic aircraft. Kachoria said he couldn’t discuss whether Boeing might be a potential partner. Spike’s proposed jet will be built largely from carbon-fiber composites. Kachoria said it will sell for about $100 million, with airlines as the primary target customers.